Tokyo is one of the most fascinating cities in the world. Don't forget to try these attractions that are truly unique Japanese when you are in Tokyo. Who is in for something truly authentic and that can only be done when in Japan, especially in Tokyo? If you are, then you should do all you can to get a seat in a Sumo match. It is like you have never seen before and really once in a life time experience. 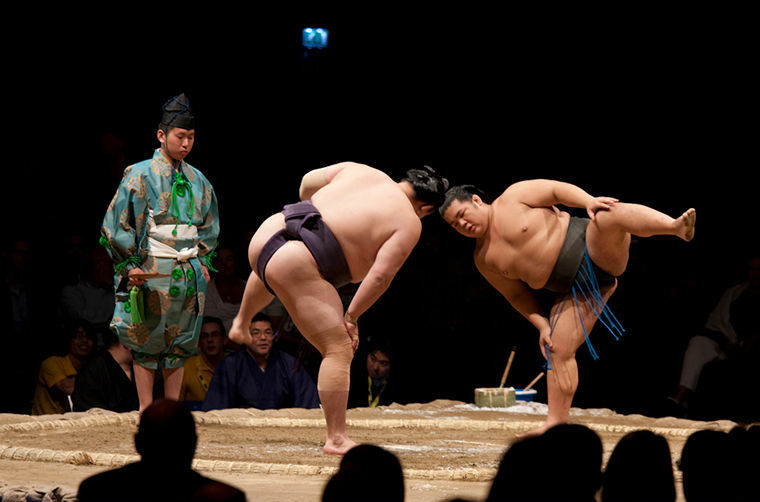 Although there is a common belief that sumo matches used to take place back in the times, Japan has still a league for this sport and if your trip falls in the months January, May or September, you may be lucky enough to see one at Ryogoku Kokugikan, Tokyo's National Sumo Hall. Even if you will not be in Tokyo during the season, you can still have a chance to join one of the practice games at a beya. These may start as early as 6 A.M. in the morning, so that’d be wise if you plan it a day beforehand. Having a Japanese speaking friend while purchasing the tickets may be a good idea because not all the practice games are open to public and you may need to know this before buying a ticket. This is one thing you definitely must give a try before you go back home and have to be content with boring, regular karaoke bars in the city you are living in. Karaoke in Tokyo is nothing like you have ever known and will definitely have a spot in your mind as one of the best memories ever. Karaoke is a popular night time activity in Japan. It is very common for group of friends to rent a room for themselves and avoid the unknown crowd and sing their lungs out without worrying about embarrassing themselves. However, since you are going to be a foreigner and will probably not see the people in the bar again, you may as well choose a bar that has a stage in room where all people enjoy their drinks and dance. The last but not the least, you can also sing with a live band, or even play the guitar, drums or bass if you want to in some karaoke bars located in Tokyo. Karaoke bars are not necessarily expensive but you should keep in mind that there are some high end ones where a bottle of champagne may cost a fortune. A lot of good quality, mid ranged bars are located in Roppongi, the district of Tokyo famous with its bright night life scene. Kabuki is the traditional Japanese dance-drama art. Its roots date back to 1603 and Kyoto, Japan. As most of the traditional Japanese culture, Kabuki is also well respected, preserved and practiced today. Kabuki is going to be an interesting experience for you not only because you are going to watch the skillful artists with beautiful and elaborative make up, but also you will be using a head set to understand what is going on stage since most of the plays are in Japanese. In anyways, it is a truly a Japanese thing that reflects the values and traditions of the society to some extend and therefore will help you understand the culture you are visiting. Kabukiza Theatre and National Theatre in Tokyo are two of the places where you can see a show. Make sure to purchase your ticket in advance. In addition, you can get more information about the shows and places on Tokyo Kabuki Guide.